(Economy Model) For archival storage of comic books or other bulk storage needs. Measurements: 25 3/8" High X 21" Wide X 18" deep. Copyright ©2013 Stan Pike Designs. Current Size Comics 6 3/4" x 10 3/8"
Standard Size Comics 7 " x 10 3/8"
Silver/Golden Age Size Comics 7 3/8" x 10 3/8"
Super Golden Age Size Comics 7 3/4" x 10 1/2"
The "Economy Model" chests only come in one depth, 18". 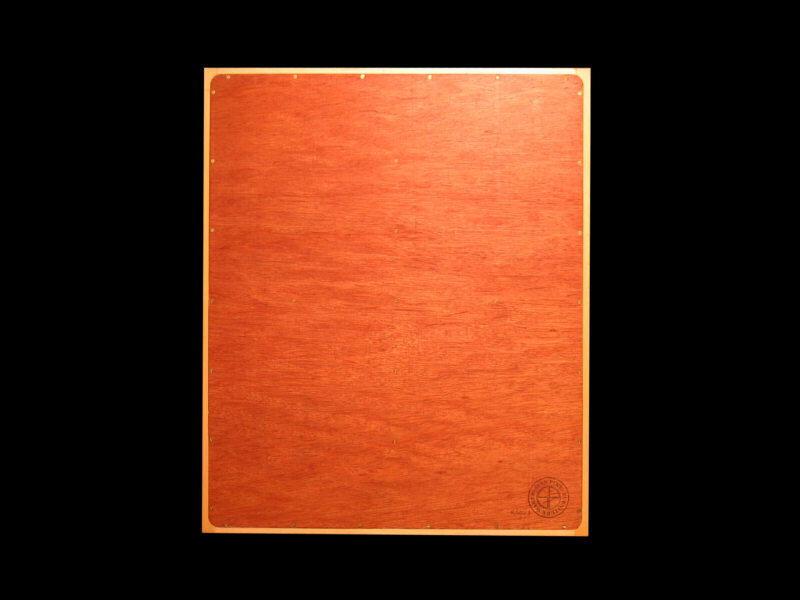 Typically 8 - 9 sleeved comics will fit per inch. This gives a single drawer capacity of approximately 130 - 146 comics or 520 - 584 comics per unit. 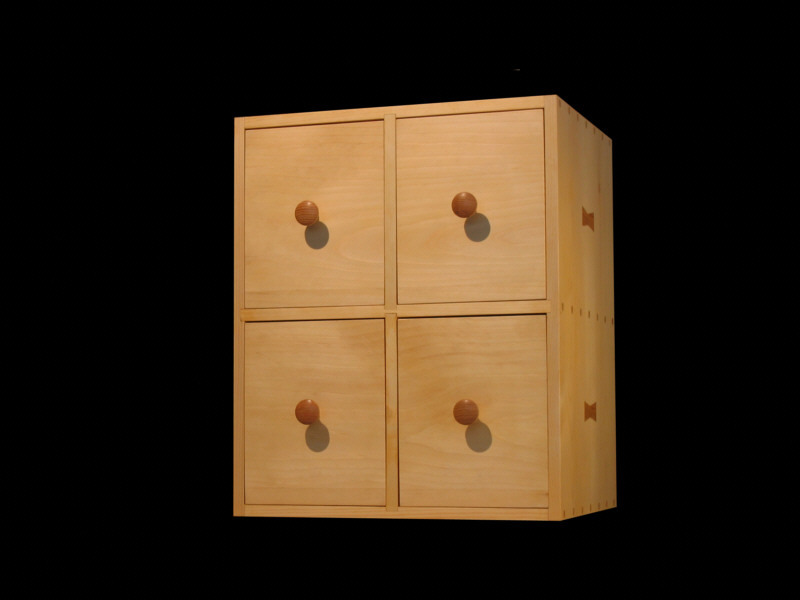 Click to see detailed photos of these drawers. 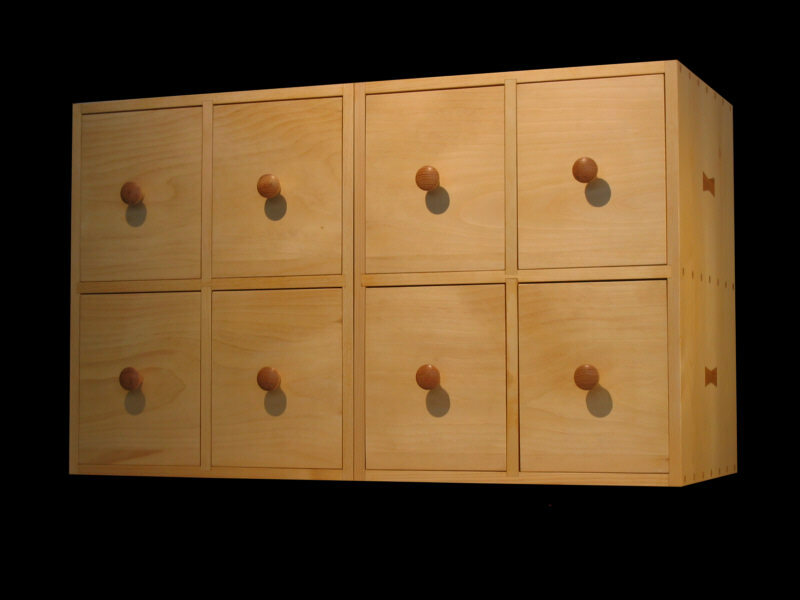 Click to see photos of other drawers. Click to see how I make drawer-pulls. 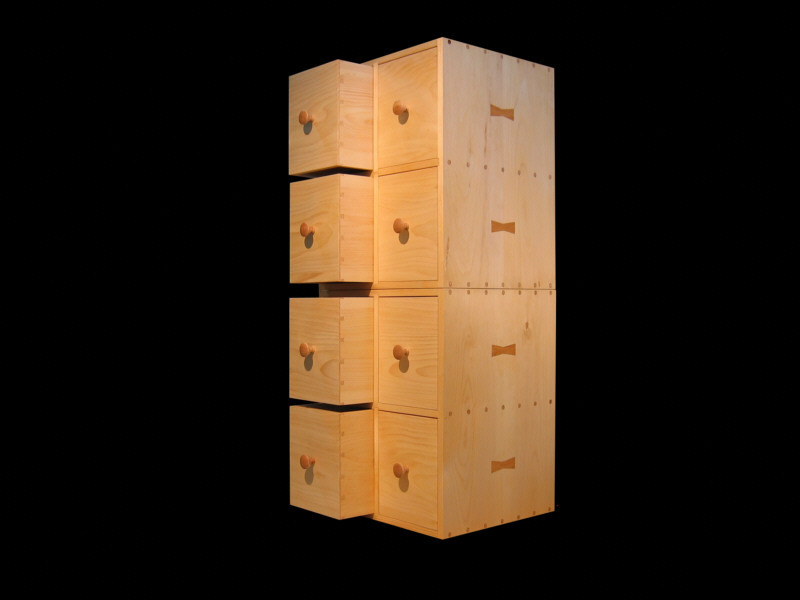 These "Economy Model" chests have been designed to function as well as our other ones made of hard woods but at lesser cost. 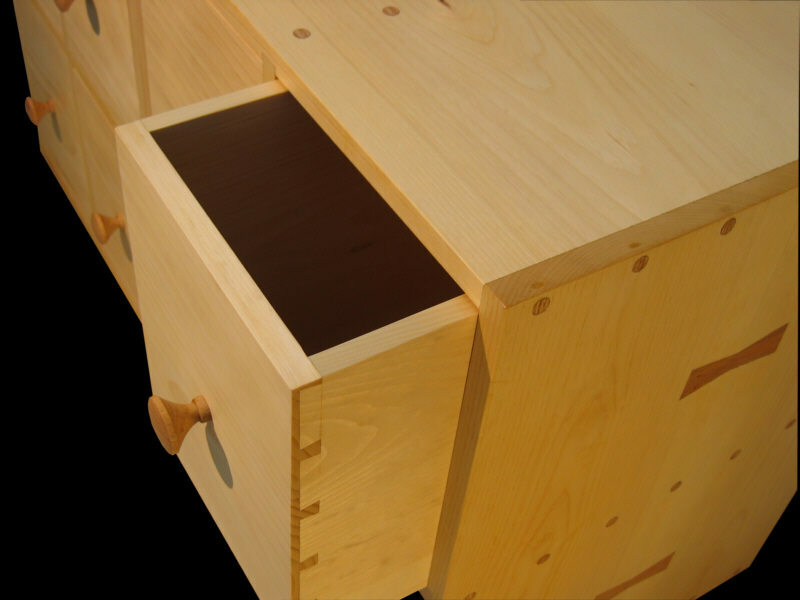 Because they are made of a fine grade of pine instead of hard woods, they are much easier and quicker to make but provide the same archival protection as our higher cost chests. All surfaces, inside and out are still finely sanded and the drawers are still made with an almost airtight fit with insides also finely sanded but left unfinished for archival properties. 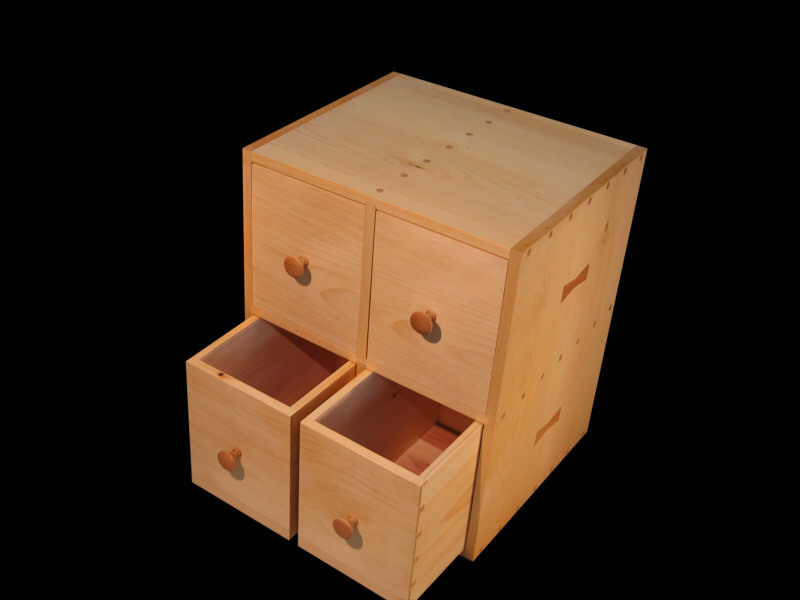 Drawer bottoms are made with aromatic red cedar unless otherwise specified. Drawers hold all "Ages" or sizes of comics. 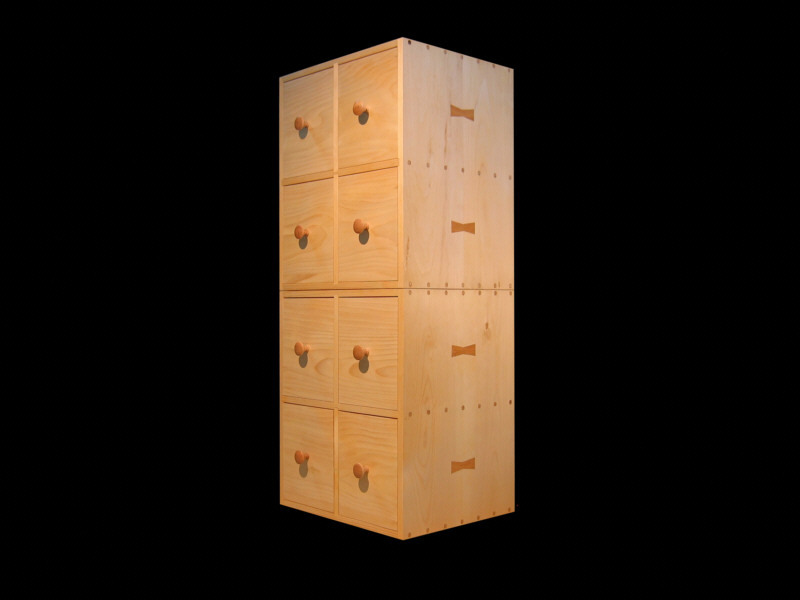 Price: $495.00 each four drewer chest 18 inches deep. Shipping by FedEx or UPS Ground - CALL OR WRITE FOR SHIPPING QUOTES.